This is about more than just keeping your sanity intact (though that’s important too!). Research has shown that, due to food’s multifaceted and complicated role in our lives, our relationship with it can have a dramatic ability to enjoy life. Setting your kids up for a positive relationship with food is one of parenting’s most important–and challenging–duties. It’s tempting to want to take over, forcing kids to eat what we think they should eat or using food as rewards. But we really can’t–and shouldn’t–force our children to eat. Learning to feed themselves is an essential life skill, and as parents, our role is to support them and model good behavior, which studies show makes a dramatic impact on our kids’ personal relationship with food. Ready to make over mealtime? Here are my top tips. And, if you are ready to take a big step towards reducing picky eating and stressful mealtimes, check out my new Stop Picky Eating Online Course and Programs. If you’re one of the many parents who can feel your blood pressure rising before you even have a chance to sit down at the table, it’s time to create a more positive experience. We’ve got lots more tips around cooking and eating together in the book, but in general, keep discipline out and create rituals around dinner that your family enjoys. Kids love familiarity, so pairing a familiar, beloved healthy option like your kid’s favorite fruit or raw veggies with dip, alongside a new or less familiar choice, gives the child some control back. It ensures that he has a go-to on his plate and is able to satisfy his hunger as he contemplates trying something new. Give each family member control over how much of each option they take, ensuring they get a healthy meal without causing stress or discomfort. Over time, exposure to new foods will pay off–even if you feel that your child is barely touching them at first. Studies have repeatedly shown that our children are absorbing our attitudes about food. They’re far more likely to try something new if they see us eating it. It’s important to sit down as a family for as many meals as possible, to model the behavior we want to see in our kids. Take the time to discuss new foods, what you like about them and how you’re feeling in terms of hunger throughout mealtime. This helps kids start to identify their own feelings when it comes to food and can help introduce new foods that they’re avoiding. Try not to ask or pressure your child to try new foods, but rather talk about past experiences of trying something new and your own feelings about the item. When you have a kid refusing to eat, it’s tempting make them a separate meal or serve them snacks afterwards. No one wants to feel like their child in hungry! But in reality, that’s self-defeating. Remind your child when he’ll next be offered a meal or snack and keep those times structured, avoiding grazing. A hungry child has a better chance at trying something new or eating what’s offered. 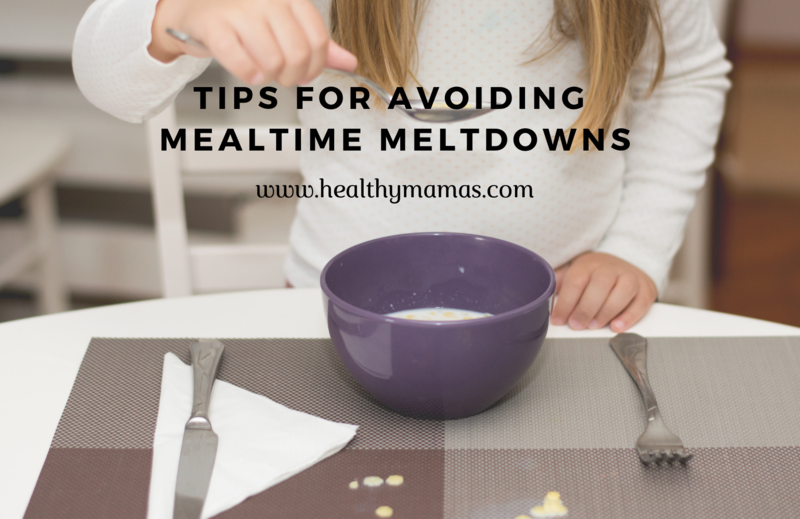 If your kiddo is throwing a tantrum about what’s on the table, gently remind her that there is in fact something she likes on the table, and she can eat as much or as little of it as she wants, and nothing of the food she doesn’t like, if that’s her preference. If she’s asking for something specific, tell her that you’ll take it into account on a future meal–and follow through on the promise. For more details on addressing common mealtime misbehaviors and cultivating a positive relationship with food for your family, check out 52 Small Changes for the Family, available for pre-order now, and my online course Stop Picky Eating with Love, Patience and a Proven Approach!